Should You Hold on to Large Pockets of Cash? A question I’m often asked by readers is why I keep such a high amount of cash savings on the side. Isn’t it better to deploy all my available cash and enjoy the market ride up while also pushing my dividend income higher? While my answer generally would be yes, the situation isn’t always so simple. As someone looking to reach financial freedom should you hold on to large pockets of idle cash? It’s true that on top of my rather large emergency fund of €8,000 I also keep a savings account on the side with about €18,000 in it. As you can see in my last net worth report that means about 44% of my portfolio is purely in cash. This money accumulates at a rather rapid 3.15% considering the low interest rates in today’s market. Many of you have asked how and where you can apply for this high-interest account too, but I’ve had to disappoint each and every single one of you. The truth is that my savings account is a “First” life insurance account of Belgian insurer Ethias. My parents signed the contract before 2003 in my name and locked in a minimum interest rate of 3.15% for life. Yes, you read that right. Back then people believed a 3.15% interest rate would be sustainable for decades to come. In 2008 the financial crisis showed Ethias otherwise, even forcing the insurer to liquidate its First portfolio as demanded by the European Commission. As such, the golden days of the First insurance accounts, back when they yielded over 6% every single year, are over. At the moment the eight year grace period stipulating that I can’t withdraw the money has passed, which basically turns the life insurance into a regular savings account: I can withdraw any amount of cash at any given time. So why hold on to it then? The answer lies in opportunity cost, which is the loss of potential gain from other alternatives when one alternative is chosen. The theory basically boils down to the fact that you can’t spend your money twice, so you have to stretch every Euro or Dollar as far as possible with a certain time frame in mind. While the 3.15% yield of my First account isn’t bad in and of itself, it’s likely that more money is to be made in the stock market over the long-run. So by forgoing investing the cash in high-quality dividend income producing companies I’m losing out on the potential gain that option brings me. Even though that doesn’t make any sense from a rational perspective, there are some reasons why and situations in which incurring opportunity costs on oneself is acceptable. Firstly, some people don’t like the idea of not having any cash on the side. Cash is the most liquid of asset classes and readily available when you need it. If you have a big expense coming up, your cash is there to be plunked down at a moment’s notice. Good luck doing that with less liquid assets like stocks or, even worse, real estate. Ironically enough, people holding on to large cash deposits could very well do so because they believe the opportunity cost of investing right away is too high. When the financial markets are crashing down and stocks drop over 30%, they then deploy most of their cash, quite possibly making a much larger return than people who invested their cash when it became available. Even though I don’t agree with that strategy as timing the markets is a fool’s errand, many people are doing exactly that with today’s markets at all-time highs. 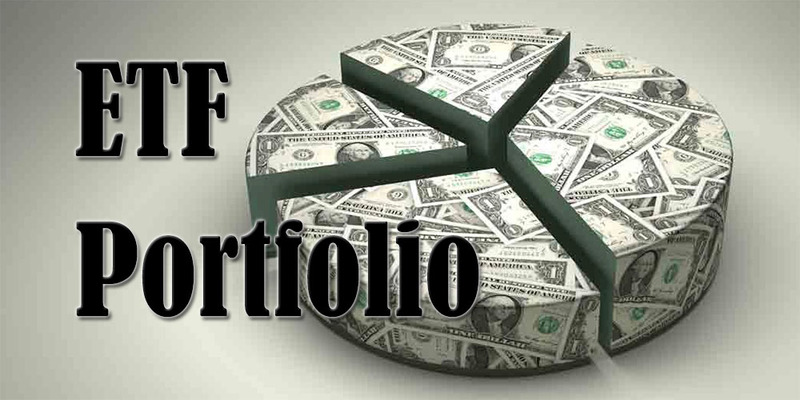 Secondly, a well-balanced portfolio, built on objective factors like age, location, and goals for example, might very well benefit from a cash holding. When you’re in your fifties looking to retire, you’ll have a completely different risk appetite than someone who is still accumulating wealth at 25 like myself. Does it make sense to go into your first year of retirement without any cash on the side? I doubt it. You can already feel that everyone’s situation is different. As such, there’s no single good answer to the question whether you should hold on to your cash or not. In the dividend growth investing community many of us are under the impression that deploying cash as soon and fast as possible is a good thing. Jason from Dividend Mantra has written numerable posts on why he prefers to build cash flow through dividend income instead of holding on to piles of cash. And I can’t say I disagree with him. However, I prefer having a cash cushion to pick me up if something were to happen, both in my personal life or in the stock market. While I’m normally one of the most rational people you can find this side of the Atlantic, it’s an emotional response to an otherwise clear-cut issue. And that’s totally fine. You can rationalise an investing decision all you want, but when you’re not comfortable pursuing it to the fullest, your investing choice remains a bad one. That’s why, apart from analysing the opportunity cost of holding on to your hard-earned cash or not, you should also ask yourself how either choice makes you feel. As for myself, I’m keeping the cash savings, although I’ll be taking my money elsewhere by the end of this month. With the European commission forcing Ethias to sell off its First portfolio by the end of 2016, the insurer is now offering four times 2014’s interest as a buy-out incentive. That’s why you can expect a massive spike in income this month because the amount of bonus interest I’ll receive be upwards of €2,000. Besides, I’ve got that money earmarked for a downpayment on a home sometime in the near future. I guess you could say I gladly pay the opportunity cost of not being invested in the market as to make sure that I have enough funds at my disposal to secure a mortgage when I need it. Again, that’s totally fine because it gives me peace of mind. How about you? Do you hold on to large pockets of cash? I believe that it’s always important to have cash on the side just in case. Just knowing that I have access to cash makes it easier to sleep at night. It’s great that you’re saving for a downpayment for that will work in your favor in the long run. If having cash on hand makes you sleep better at night, definitely continue to do so. No investing strategy should have you worry when you could be sleeping like a baby and have your money work for you. Although I’m renting extremely cheaply and I’m not too big a fan of home ownership, I hope to buy a home soon. Knowing you’ll always have a room over your head even when your income declines gives a sense of security. That said, you have to what you’re comfortable with. No returns are worth not being able to sleep at night, in my view. In addition, it also depends on where you’re at in the investor spectrum. Those just starting out will probably do very poorly by keeping a substantial portion of cash around, while those already FI can probably do what they want with fresh cash. I agree with DM with regards to cash before and after FIRE. Having said that, based on what I have seen and read to date, investing appears to be the better option than having cash (as for opportunity cash, no one can time the market, I won’t focus on this too much). But it will depend on your life and preferences as what you should do. For example, if NMW would want to buy a house/condo, a bit of cash on the side (preferably temporarily stashed in his amazing saving account!) is not a bad thing. We are in a similar situation where we do not know what the future will bring, as we may want/need to move we are keeping some reserves as well to be able to fund a potential international move (which are very expensive!). Mind you, we are keeping this money in the mortgage, and have the ability to take it our at any time at a very reasonable interest rate. Having cash on hand while you’re waiting for a market correction of some future opportunity isn’t a strategy I would employ either, but keeping a little cash on the side for unexpected expenses or other personal reasons is something I can get behind, as you’ve probably gathered from my post. Furthermore, when inflation is near zero and you can still find interest rates of 1.5%, I believe keeping cash in a savings account isn’t too bad if you’re looking for a zero risk financial vehicle. You said you have your money in a mortgage – do you have one of those weird savings mortgages (spaarhypotheek in Dutch)? I’m regularly amazed at the ingenuity of the Dutch mortgage market as we basically have one or two types of mortages: fixed and variable interest rate ones. Oh, I’m on board with you when you have a saving account getting 3.15%! That allows for some flexibility when buying into the stock market, while still getting a good return in the mean time and having emergency cash on hand. Fantastic position to be in really. As for the mortgage, a few years back an acquaintance of ours decided to investigate the Dutch mortgage market (he is a little OCD), he came to the staggering number of 176 different mortgage variations! I thought he was joking, but after seeing his overview it was pretty clear he was not. Not sure whether which one he took. We currently have what is called a home equity line of credit, which has a revolving portion (3.35% = prime + 0.5%) and a fixed portion (at 2.50%). Every penny we pay into the fixed portion, become available again in the revolving portion at said interest rate. This way we pretty much have no actual “cash” on hand at anytime, if we need any emergency cash, we just take it out of the mortgage. When we take money out, we do pay it back as soon as possible to limit the interest paid. We currently have about 6 months of living expenses in this form of readily available “cash”. Whoa, that’s an incredible number of mortgage variations! I knew the Dutch mortgage market was complicated, but this is just too much. No wonder the Dutch government put severe restrictions in place after the financial crisis of 2008. I believe we have the same type of mortgage here in Belgium as you’re currently enjoying, but it just works a little different. Many people take money out of their mortgage to pay for home renovations and the like, but you can’t use it for consumerist expenses. Nobody in our community doubts where you stand on this issue, that’s clear for sure! You’re welcome, by the way, I always enjoy referencing my visitors to high quality content – keep it up. Absolutely! I just said the same thing to Petrish one comment above yours. 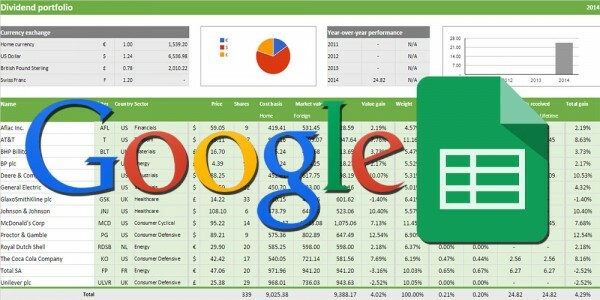 If you worry about your investment strategy, something is wrong. Having cash on hand just makes me feel a little better, especially since I’m looking to buy a house/appartment in the near future. Wow, I’d love to have a 3% yield on my savings. At the moment I’m collecting .05% interest which is still higher than some other rates I’ve looked at. Right now I’m saving up to pay off my mortgage so I don’t mind having a large sum in the bank and even after that I plan on maintaining a savings account as an emergency fund. However after the mortgage is payed off I doubt I’d keep as much in the account as I currently have. That kinda of money is far more beneficial in dividend stocks. Damn, that’s lower than the legal minimum on savings products in Belgium (which stands at 0.11%)! I can see why you’d rather keep your money in dividend stocks once your mortgage is payed off. Great article. Good on ya for having discipline in saving and having that amount of cash. I’m happy for you and wish you continued success. Buying that home would be a great asset builder towards your net worth. For myself, my properties which I own I consider them my bonds portion of my stock. However, I will be building up more cash for market opportunities but will invest steadily per month. Keep up the great work bud. At 25 years old, I commend you on this road because most 25 year olds are still out drinking and partying their lives away still… like my little brother. Much Love to you my friend. Buying a home should be a great asset builder, but it’s actually less beneficial than renting the place I currently stay at. 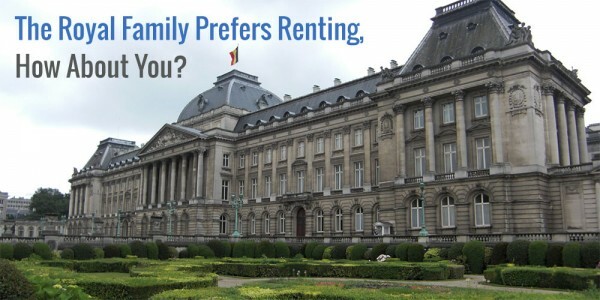 Home prices are ridiculously inflated in Belgium (mostly Flanders), which makes it a long-term and huge investment. Still, the added security of owning my own place makes it worth it! How much cash do you keep on hand as a percentage of your net worth exactly? Is it a significant amount you want to deploy when the market undergoes a correction? I always keep 12 months of pay around in cash. It is quite high compared to others but it makes I will never have to sell stocks when I don’t want to. And when stocks start to go down I will have plenty of cash to pick up the falling stocks. That’s a significant amount of money too for someone in your position, but I understand why you do so. Better safe than sorry! And when you see an opportunity in the market you can easily deploy your cash. I tend to keep a fair amount of cash around although I’ve been drawing it down slowly for the most part. I have three main categories of money: Cash (aka living expense accounts), Savings and Emergency Fund. 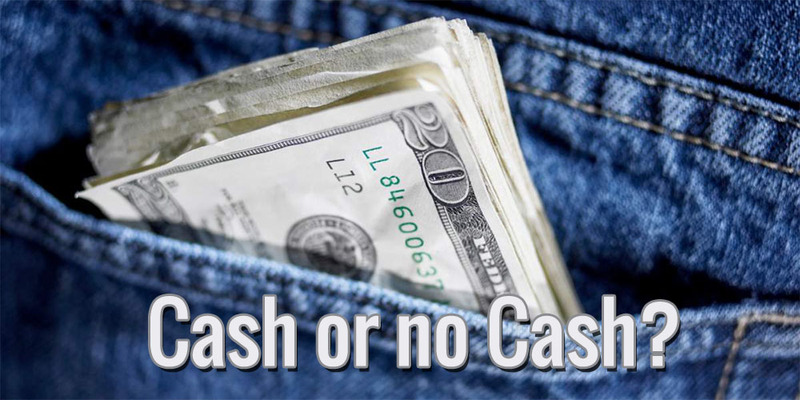 The Cash category is 100% cash and contains enough cash for 3 months living expenses. The Savings category is for both short and long term saving goals – it contains both cash and investments depending on the timeframe for the particular goal. Short term goals (< 2 years) are all cash, longer term goals are a mix. My Emergency fund is a mix of cash and investments – as my annual dividend income increases I reduce the cash component and the eventual goal is for 12 month coverage of living expenses. This is really an 'emergency break-glass' fund though since my Savings includes goals for expected expenses such as expensive house repairs. That’s a pretty elaborate cash strategy you’ve got going! I especially like that you base the amount of cash in your emergency fund on your increasing dividend income. I hadn’t thought of doing that and I’ll probably start doing so too in the future. What kind of “cash investments” do you use for long term goals? For my savings I just use an online savings account (1% interest) and Vanguard’s VWELX fund (a 65% stock, 35% bond) fund. There are cheaper and perhaps less risky funds but a one fund solution was simplest as I can just make an automatic payment each month. I’m not too worried about market fluctuations since it’s mostly allocated to my longer-term goals (e.g. paying off my mortgage) which aren’t really time-bound and are at least 10+ years away. Shorter term goals are predominately cash which is also an automatic payment each month. Right now, I have 3 months worth of expences, but after a real wake up call –I work in the oil industry– I want at least 12 months. If I can keep my job and cut expences, I can be done saving by the end of the year. The negative side is that I have to put most of my investing on hold. Sorry to hear you had a wake-up call at the office and I hope it works out for you! Being layed off isn’t any fun, so I can understand why you would want 12 months of living expenses at your disposal if it were to happen. Don’t worry too much about the temporary investing hold-up. Nothing beats the safety net of emergency cash! Having a cash position is something I wish the community would consider more. Note I am not saying should have, that’s a personal choice, but most don’t even consider it. I will say that most in the community started after 2009 and have known nothing but a great bull market. It makes sense to go all in during these times. But as someone who lived through 2008? Having cash for taking advantage of opportunities is important. If an investors uses their investing account as their savings, where they will sell some shares to cover emergencies… well they just caused a tax event so they will need to pull out about 25% extra from what they need. It’s always great to hear the perspective from someone who experienced different times than we’re used to past few years. I think you’re absolutely right that many of us think stock markets will continue to grow at 20% every year because we’ve only started after 2008, which makes us blind to risks. However, I’m not planning on keeping cash on the side for a correction or investment opportunities. If the stock market declines heavily I might consider using my emergency fund, but I’ll probably continue to invest my monthly savings like I’m doing now. Selling shares to cover an emergency is something I never hope to do, even though I’m not penalised with capital gains taxes as we don’t have those over here in Belgium. I don’t have a cash pile that large, but to me it makes sense. My wife has a large savings, and we are going to be using some of it this summer as she finishes her masters. Things happen, and for some it makes sense. Plus, you never know when you might need it; if you get married or something like that. 3.15% is pretty awesome for any type of ‘savings.’ That is pretty awesome on your parents, and unfortunate that it no longer is something you can find. If I found a savings like that in the USA I would sign up immediately. I have a Credit Union, and my savings there earns around 1% (its flexible). Still congrats on that 3.15%. Like you said, you never know when you need it or change your mind and deploy some of it. It seems like you and your wife have a pretty good handle on things, even though you personally don’t have much cash on hand. Having some money on the side that you can dip into for unexpected expenses – or even expected ones, like a marriage – makes me sleep better at night, which is ultimately what it’s all about. 3.15% is awesome indeed, especially with interest rates plummeting the last few years. My parents did a great job, even though they sometimes punch themselves in the face for not putting all my savings in there before the 3.15% was brought back to 0% for new contributions. Last week I’ve found a couple of regular savings accounts that still offer 1.75%, so I’ll probably make use of those when I take everything out of the 3.15% account. My personal approach when I do have cash to invest is to invest it as soon as it becomes available. So that being said very rarely do I have much cash sitting on the sidelines. I do agree that if you plan on buying a home within the next little while the market is no place for your money to be sitting. Unless of course you want to be entirely flexible on your home purchase date and willing to wait a couple years if the market collapses for it to return in value. I think that is a great point to mention, to consider how that choice makes you feel. Although I will say as long as you understand the outcomes from each decision. Putting money under your mattress or investing in penny stocks might make you feel good but either of them might not be wise choices to meet your financial goals. Thanks for sharing and keep up informed on any house hunting you go on. Always fun to feel involved in the process. I’m glad we seem to agree that keeping your money in the market isn’t a very good idea if you want to buy a home in the immediate future. You make a valid point in that feeling good about a decision isn’t the only indicator of a good strategy. Penny stocks might make you feel good about yourself, but I don’t consider that a viable strategy for anyone. I’ll certainly keep you guys updated on the home hunt! It’s fun scouring the housing market and learning a thing or two in the process. I often wish I could hold on to cash long enough to let it pile up! I’m probably a little more impatient when it comes to putting my funds to work, but I know when the opportunity comes to snap up some quality stocks after a market crash I’ll be wishing I had that highly valuable optionality that a pile of cash would provide! We’re not a bunch of investing robots, and there will always be an element of emotion attached one way or another – but understanding it and managing it is what counts! Good luck finding a home in the near future, whenever the timing is right! There are pros and cons to every strategy. I don’t think immediately putting your money to work is a bad thing. I’d probably do the same if I wasn’t saving up for a home purchase. Understanding the risks and the emotions they bring about is what seperates good investors from really great ones – you’re absolutely spot on! Let’s hope I find something suitable over the next few years. Houseing prices are a little bit ridiculous over here, so it might take some time. I’m with you. I like to hold cash for emergencies and unexpected expenses. Also, I think it is a good habit to maintain 6-months of expenses in cash just in case. Lastly, I like to hold a sizable chunk of money so I can take advantage of market dips. When the next major correction happens, I’ll have a bunch of cash to scoop up stock deals. Glad to have you on my side! The general advice in Belgium is to keep at least three months of net income on the side, which for many people is a little less than your six months of expenses, so it’s safe to say you’re keeping a healthy chunk on emergency savings on the side. I’m looking forward to see you deploy a whole bunch of capital during the next market correction! We hold some cash aside for spending purposes. For our investment accounts we try to deploy most of the cash if we can. I think that’s what most people do! And I can’t say I disagree with your strategy. But lately I haven’t found anything that really makes me want to buy. I’ve been looking to get into some energy stocks but I still think there’s some pain ahead so I’m sort of waiting a little longer for that. I probably wouldn’t be bad off investing now, but I can easily see at least one more bad earnings report trashing them some more. I know that oil companies have not been fairing well lately. So I don’t usually stockpile cash, but right now I happen to be, which feels weird to me. If you don’t find much of interest, then I understand why you’re holding on to your cash. Personally I believe there are still some opportunities to be had in the market, so I’ll be sure to take advantage of them over the course of the months. Oil companies are in a difficult spot indeed. They are valued fairly low aleady, but I believe there’s still potential for a downward correction in the energy market. I guess we’ll see in the future, but I’m probably going to stock up on RDS in the near future. Hey man, I’m with you on this one. Like you, I’m currently raising my cash reserves as I’m in the middle of a transition right now and nothing beats having a liquid ‘position of strength’. But once it hits a substantial figure – probably $10k in reserves, everything else will be compounded in the dividend machine. Great attitude towards keeping a cash reserve versus deploying as much capital as possible! I think it’s important to have enough cash on hand to cover short-term expenses while also putting as much money to work in the market as possible. Let’s hope our dividend machine compounds at full force! I currently have a huge 57% my potential investment capital in cash. This is cash that I can miss for more than 5 or 10 years. I know, I know,… that’s not ideal, but I have two reasons. 1. OK, I’m timing the market a bit in the current market situation. I know everybody is against that, but I’m doing it anyway. Don’t worry about keeping that much money in cash, especially since you’re brand new to investing. I think that’s a very healthy attitude to take. As you can see from my own portfolio, I’m also about 40% in cash even though I believe timing the market is futile. You should do what feels right to you – no one else can decide how you feel about a certain investing strategy but yourself. Love the John Bogle quote, hadn’t heard of it yet! I’m waiting a bit for a correction. Not only for the market opportunity, but also for the experience. I started in the middle of a good-news-show, when most beginners step in. I read in the newspapers that a lot of newcomers are stepping in right now. And I recall the advice to be careful when a lot of newcomers step in. You are also fairly new to investing. So also for you the experience of a bear market during 2-3 years will be new. 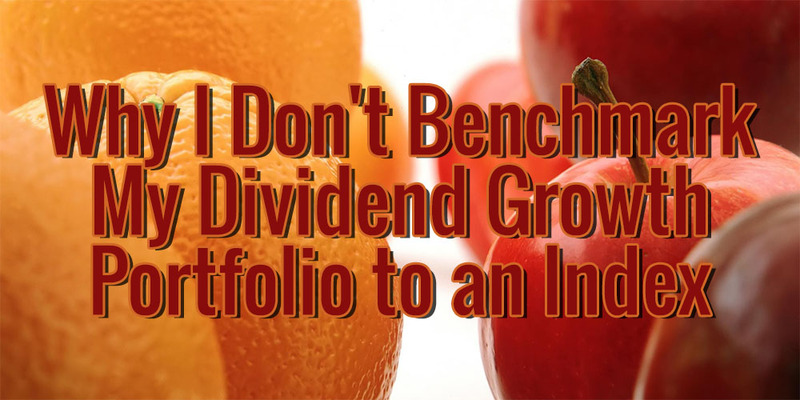 But the situation is maybe different for you as a dividend investor. Maybe I overreact, but OK…we’ll see. Like I said: very healthy attitude! You voice many of the concerns I also have as a new investor, which is why I’m keeping a little cash on the side – also because I hope to purchase a home in the near future. I’m very aware of the fact that you don’t have to be a genius to make a lot of money in the market at the moment, so I don’t pay too much attention to capital gains. To me it’s all about dividend payments, like you said. If they keep rolling in, you won’t see me panicking or anything of the sort.